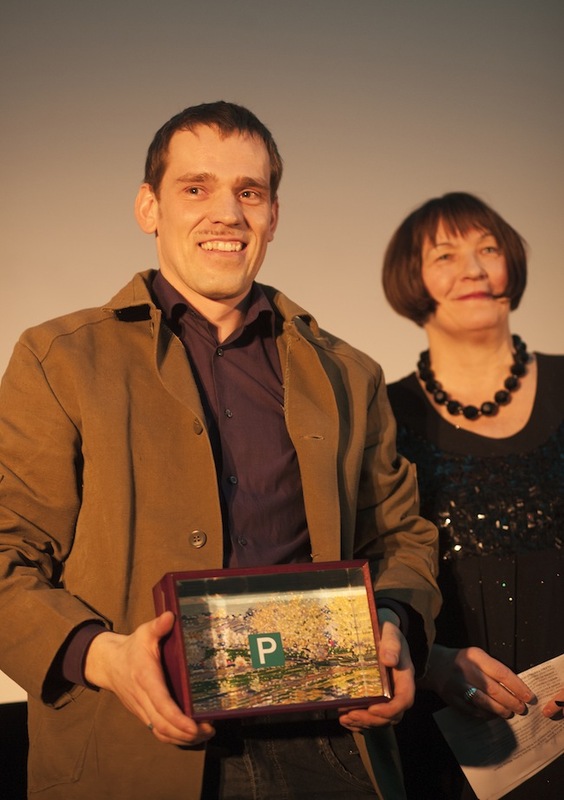 Having received the panel of judges' highest evaluation, artist Andris Eglītis was awarded the third ever “Purvītis Prize” on February 15! 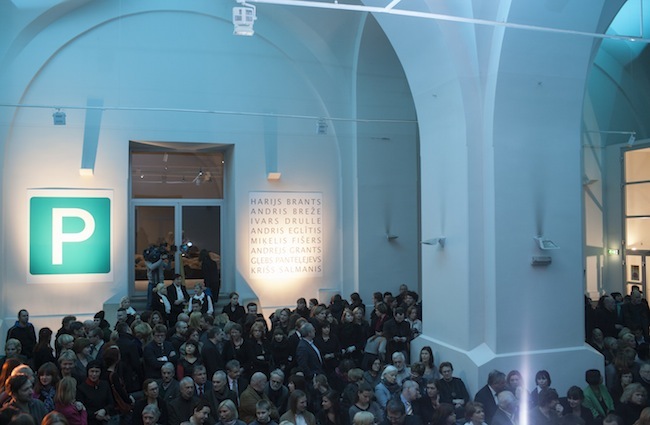 Speaking in the name of the panel, the winner of the “Purvītis Prize 2013” was announced by Māra Lāce, director of the Latvian National Museum of Art (LNMA), and Jānis Zuzāns, chairman of the board of museum sponsor, “Alfor, Ltd.”. The award includes a considerable monetary sum – 20 000 lats (pre-tax, approximately EUR 28 500). 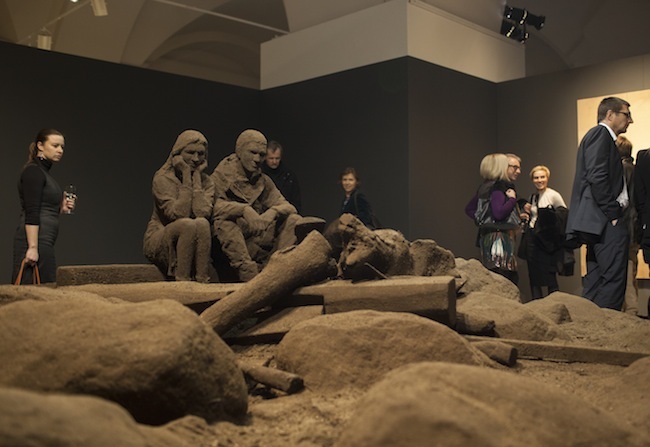 The panel that chose the third winner of the “Purvītis Prize” consisted of nine international judges. The winner was chosen after closed-door deliberations that lasted almost four hours, in which the judges discussed the exhibited works of the eight finalists – Harijs Brants, Andris Breže, Ivars Drulle, Andris Eglītis, Miķelis Fišers, Andrejs Grants, Gļebs Panteļejevs and Krišs Salmanis. “As always, it was not easy to come to a decision. We came to a definitive conclusion after two rounds of voting. Andris Eglītis is a soundly stable artist who, through his artistic endeavors, reveals an ability to creatively develop the tradition of Latvian painting and to give it a new quality in terms of content, form and materials used. Eglītis' constant creative explorations and experiments, as well as the fact that he doesn't stop at his achievements, but always looks for new ways and methods to express how he perceives thisour world through art, were pointed out several times during the panel's deliberations,” recounts Māra Lāce, LNMA director and head of the panel. 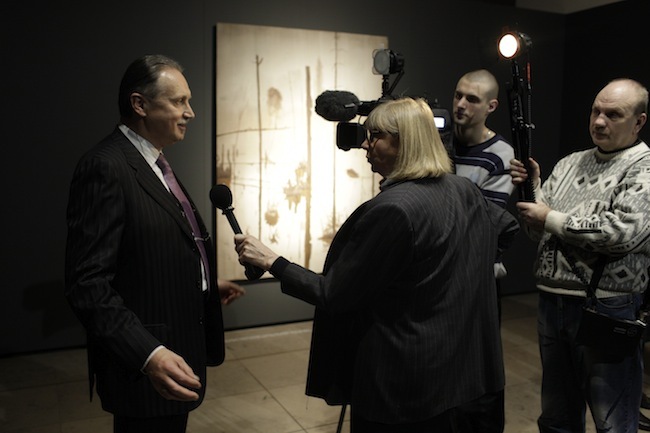 It should be noted that Andris Eglītis was also a candidate for the first “Purvītis Prize” in 2009, and is one of the most frequently nominated artists. The members of the judging panel for the “Purvītis Prize 2013” were: Māra Lāce, director of the LNMA; Jānis Zuzāns, chairman of the board of “Alfor, Ltd.”, the LNMA's chief sponsor; Žaneta Jaunzeme-Grende, Latvia's Minister of Culture; Dr. hab. art. Eduards Kļaviņš, professor at the Art Academy of Latvia; Inga Šteimane, art curator and critic; Irina Vītola, director of the private fund “Mūsdienu mākslas centrs”; Viktor Misiano (Russia), art curator, critic and editor in chief of the contemporary art journal, “Moscow Art Magazine”; Nadia Totskaya (Russia), director of the “Regina” art gallery; and Raminta Jurinaite (Lithuania), PhD art history, professor at the Vilnius Art Academy, and curator.